Today’s video we look at 5 Things You Can Do To Lose Weight Naturally Every Week. 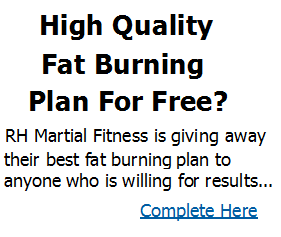 Men and women of all ages are using THIS Proven Fat Burning Plan to TORCH belly fast faster than ever before – all while actually enjoying the process and having fun. P.S. If you thought these 5 weight loss tips were good at burning body fat – You’ve seen nothing yet! Today’s video we look at how hip, thigh and belly fat by using this quick but effective 4 fat burning moves combo workout at home. What makes me most happy is women and men of all ages are using these Fast Track Workouts to DROP up to 10 pounds of stubborn flab in 14 short days – all while enjoying all your favorite foods. P.S. Today’s video was just the tip of the iceberg how i will show you personally how to start burning off fat like a hot pan to butter. Today’s video we look at how to get a flatter belly this week by using this quick but effective standing abs workout at home. P.S. If you thought this standing ab workout is good at burning belly fat – You’ve seen nothing yet! This entry was posted in Uncategorized on May 2, 2016 by admin. How to Get Rid of Lower Belly Fat – New Combo Workout! This entry was posted in Uncategorized on April 24, 2016 by admin.